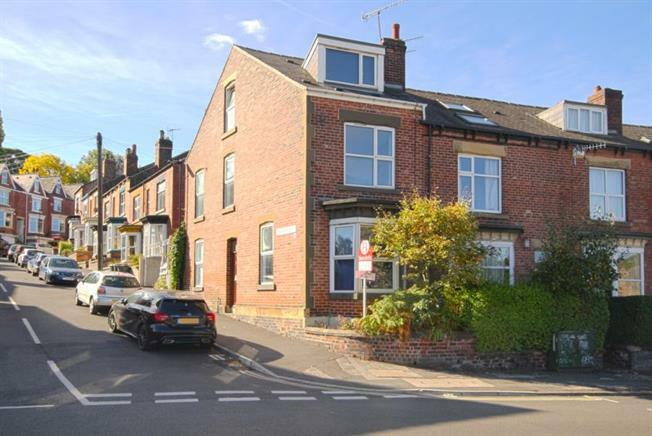 2 Bedroom Upper Floor Flat For Sale in Sheffield for Offers in excess of £170,000. Early viewing is highly recommended of this well presented deceptively spacious two bedroom duplex apartment located in the heart of Hunters Bar - one of Sheffield's most sought after and desirable residential suburbs providing easy access to ample local amenities found on Eccelsall Road & Sharrow Vale Road including shops, restaurants, public houses, coffee shops, as well as being within easy reach of Sheffield's principle hospitals and university. Benefiting from two reception rooms, well proportioned bathroom, gas central heating, double glazing and NO ONWARD CHAIN INVOLVED. The accommodation in brief comprises: ground floor entrance lobby with stairs rising to the first floor landing, a door leads into a front facing lounge, while to the rear there is a dining room providing access to the kitchen having a range of wall and base units with space and plumbing for free standing appliances. Stairs rise from the first floor landing to the second floor where there are two double bedrooms. Externally there is one off street parking space available to the rear of the property.